Michael is a first-year MASc candidate in Mechanical and Materials Engineering under the supervision of Joshua Marshall. Michael has recently completed his undergraduate degree in Mechanical Engineering at Queen’s University. During the final year of his undergraduate degree, Michael performed research on the use of short-range optical sensors in dynamic object tracking scenarios. Additionally, Michael also completed a Professional Internship at Ontario Power Generation working in project management for nuclear inspection and maintenance tooling projects. Moving forward into his MASc, his research interests are related to topics such as mobile environment mapping. He is looking to develop a novel device to improve 3D mapping in harsh and hard to reach locations. 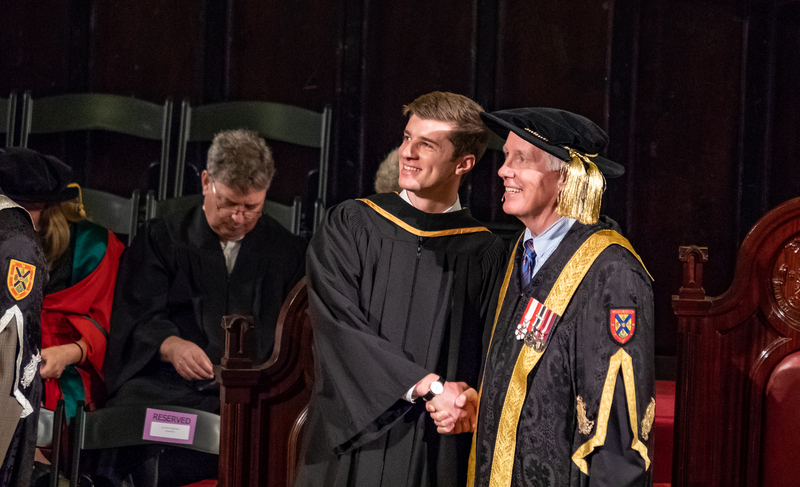 Michael at his spring convocation in May 2018 with Queen’s Chancellor Jim Leech. 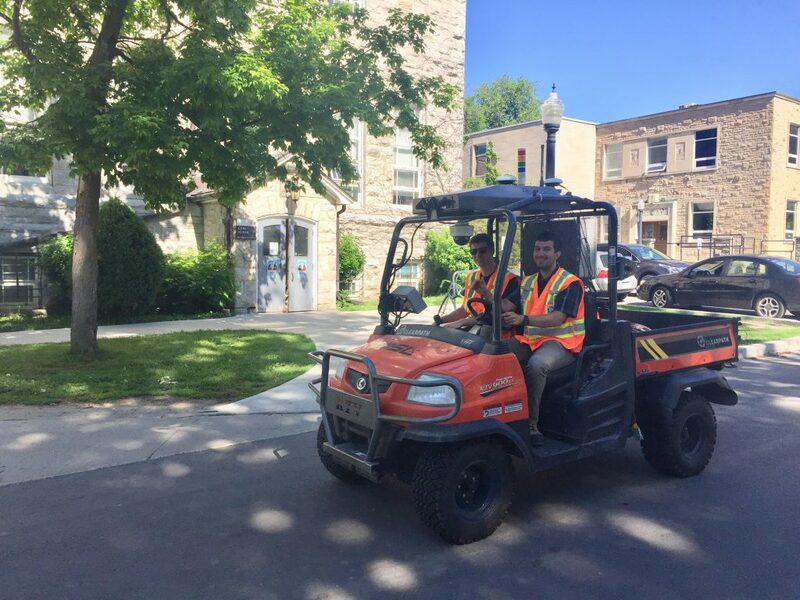 Michael (Left) and Jeremy (Right) field testing our autonomous ready Kubota RTV. Updating the vehicle’s hardware and software to be used for future autonomous driving research. 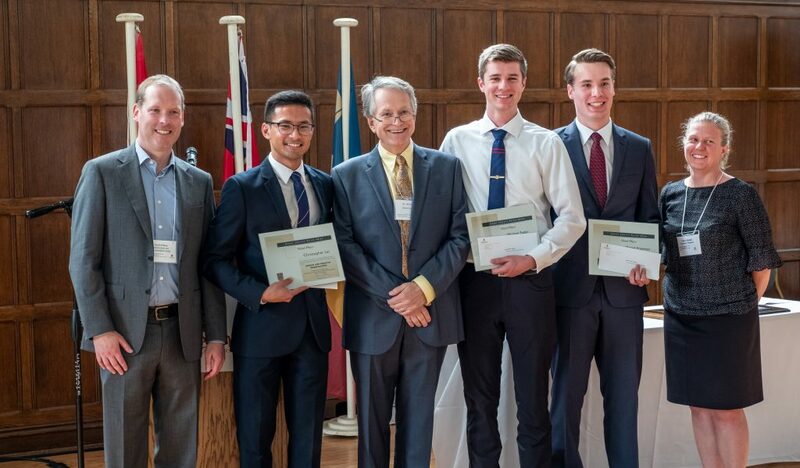 Michael and his 4th-year capstone design team receiving the Bronze George Christie Design Award at convocation in May 2018.